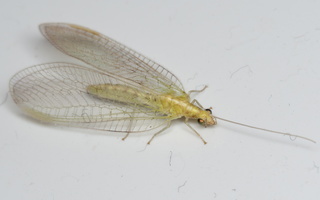 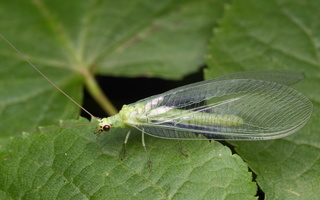 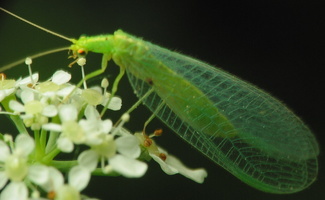 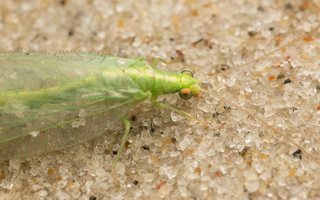 EN · green lacewings, common lacewings DE · Florfliegen LV · zeltactiņu dzimta, zeltactiņas PL · złotookowate RU · златогла́зки Subclass: Pterygota Infraclass: Neoptera Superorder: Endopterygota or Neuropterida Order: Neuroptera Suborder: Hemerobiiformia Superfamily: Osmyloidea Green lacewings are characterized by a wide costal field in their wing venation, in which the cross-veins are. 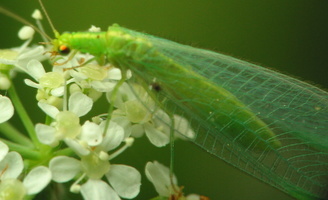 The bodies are usually bright green to greenish-brown, and the compound eyes are conspicuously golden in many species. 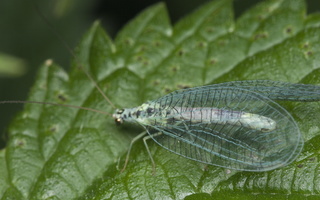 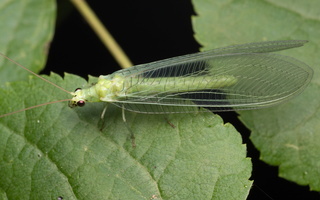 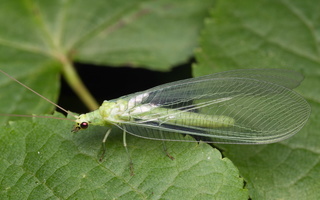 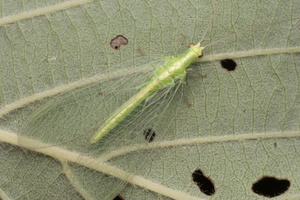 The wings are usually translucent with a slight iridescence. 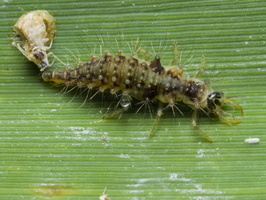 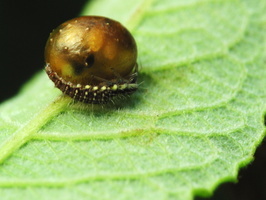 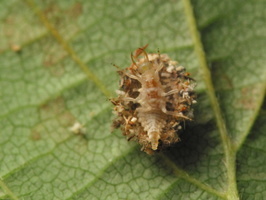 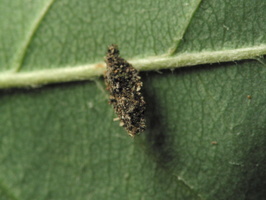 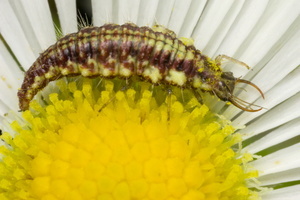 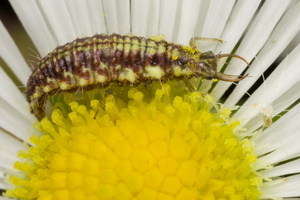 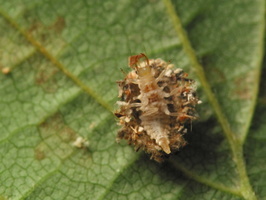 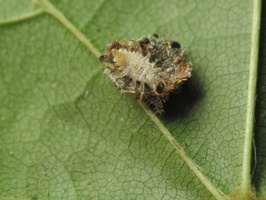 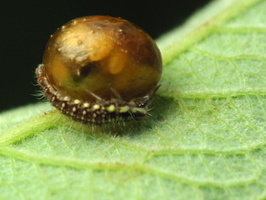 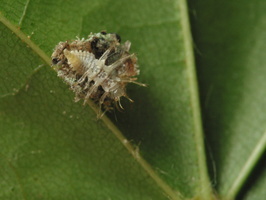 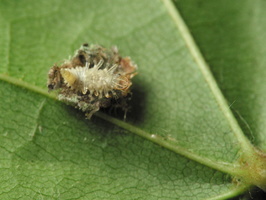 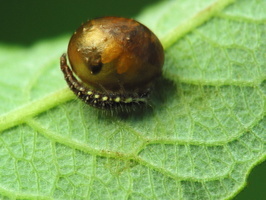 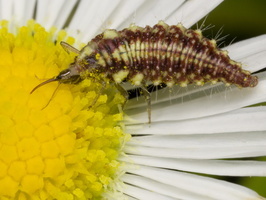 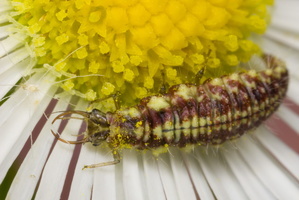 Larvae have either a more slender "humpbacked" shape with a prominent bulge on the thorax, or are plumper, with long bristles jutting out from the sides. 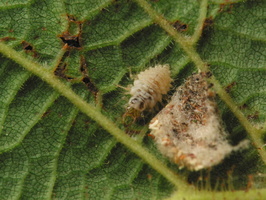 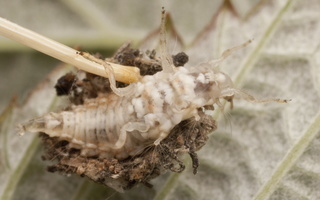 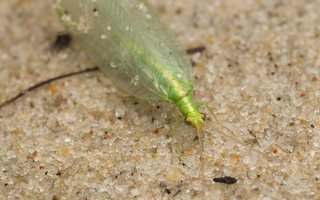 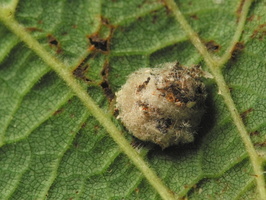 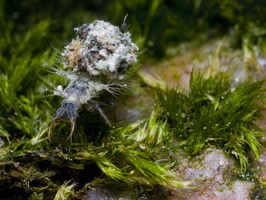 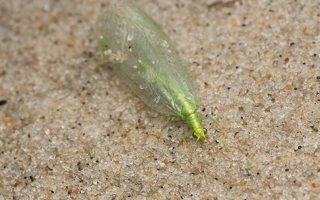 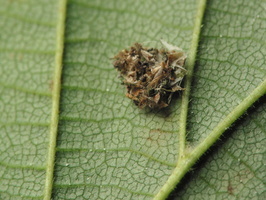 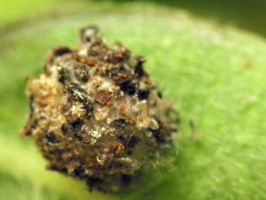 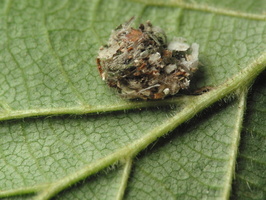 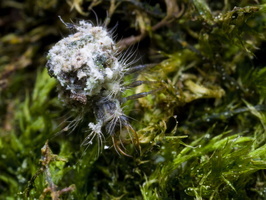 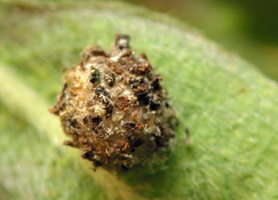 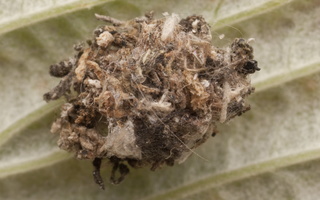 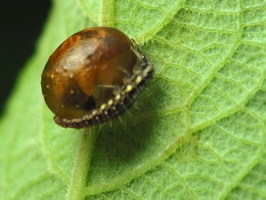 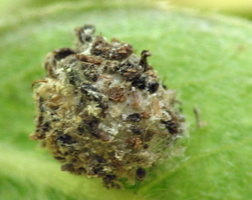 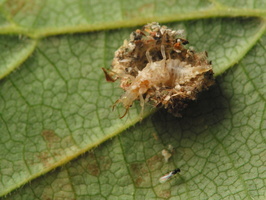 These will collect debris and food remains - the empty integuments of aphids, most notably - that provide camouflage from birds and protection from ants.